Mitoyen à l'entrée du site de Pompéi, Camping Zeus calme et bien équipé. En septembre 20 € la nuit tout compris sauf Wifi en sus. Sehr schöner Platz inmitten von Orangenbäumen. 5 min zu Fuß bis zum Eingang von der alten Stadt Pompeii, 15 min bis in die Altstadt. WiFi frei, warmes Wasser in den Duschen. 21 € je Übernachtung mit dem Womo und zwei Personen am 01.12.18. Adiacente all'ingresso del sito di Pompei, il Camping Zeus è silenzioso e ben attrezzato. Nel mese di settembre 20 € a notte tutto incluso tranne Wifi extra. Camping Zeus al lado de las excavaciones de Pompeya y la estación de tren. Excellent location for entrance to the Pompei ruins (€15 entrance), or to catch a train to the Amalfi Coast. Train ticket to Sorrento €2.40. Hop on/off local SITASUD bus Sorrento-Salerno €10. Train ticket Salerno-Pompei (different station) €2.40. 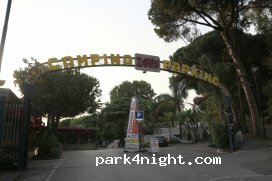 With an ACSI card motorhome and 2 persons costs €22/night. Showers are hot although not fully enclosed so might be cold during inclement weather. 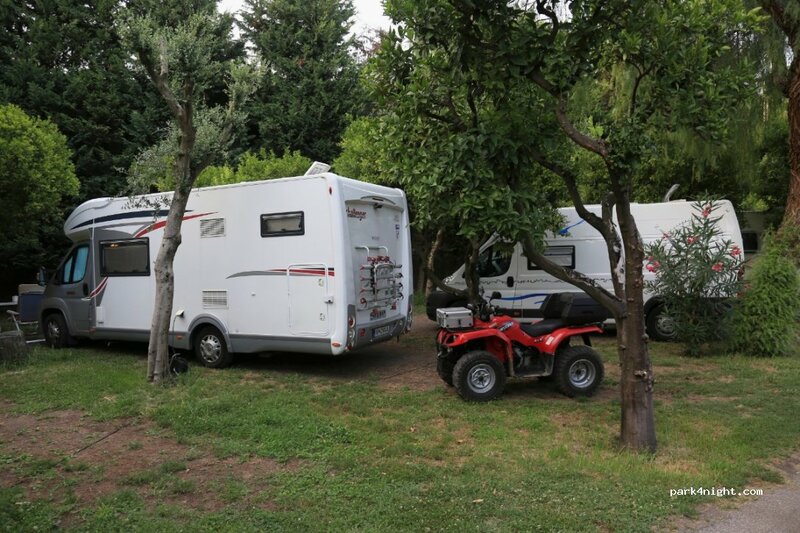 Site is clean and tidy with pitches amongst orange trees. 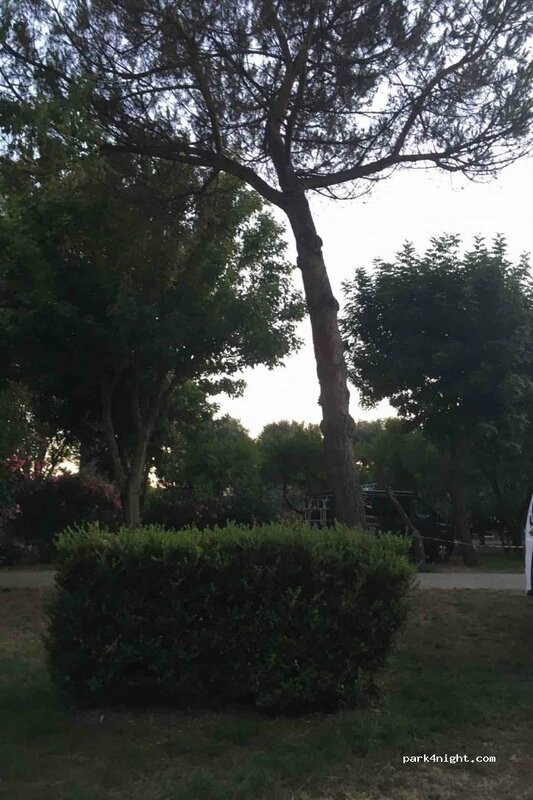 The only good thing about this campsite is the location- it is right next to the entrance to Pompeii and also the train station making it a good base to visit Naples. otherwise it was dirty and noisy and smelly. I am not exaggerating when I say that I don't believe they have ever cleaned the floors/walls/doors/sinks in the bathrooms... filthy. 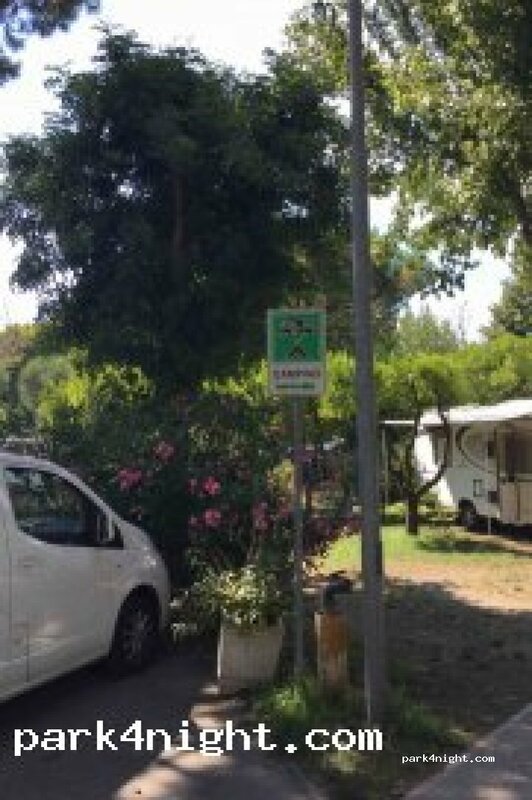 Very small campsite but really close to ancient Pompeii. All nearby shops close at around 8 pm but the staff is really helpful and they all speak English! The main thing going for this site is its proximity to the ruins - everything else is pretty awful. Entrance barrier and access roads around camping area are VERY tight with trees all over the place making it difficult to navigate in larger vehicle. Pitches unkempt and small - many with low overhanging trees. Toilets & showers pretty grim although water was hot. 10A hookup good. Free wifi useless. Usine à touriste, restaurant avec peu de bons produits, ma fille a eu un plat de pâtes type eco avec 3 bouts de jambon pour 9€ !! Je rappelle que nous sommes en Italie, pays des pâtes ! Personnel hautain, douche pas très propre... Pour se garer, bon courage, tout le monde a rayé sa carrosserie (critique observée par d'autres campeurs). Sinon bien situé pour visiter Pompéi et cadre verdoyant. Stayed here for one night in September 17. We arrived in Pompeii the day before and it was raining so we didn't want to pay for a night whilst not being able to explore so we stayed the night at the McDonalds at the centro commercial just down the road. We were allowed to spend the night there but were asked to move on at 6 in the morning. 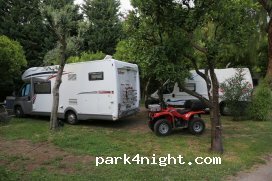 We then arrived at the campsite at 6.30am and were allowed to stay untill 02.00pm the next day for the price of one night. Campsite was excellent. Nice an shaded, plenty of room, very safe and super close to the ruins, bus to Vesuvius and train to Naples via circumvesuvia train. 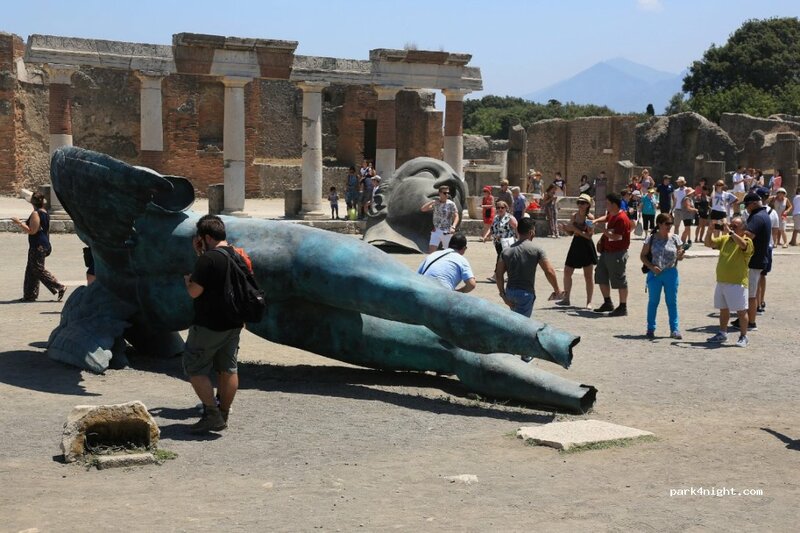 If you visit Pompeii on the first Sunday of the month it is completely free and if you arrive before 11 the lines are minimal. Services are excellent, strong wifi and potable water. Only complaint is that the staff are very rude and do not seem interested in helping. Difficile d'accès avec un 7.5 m, on n'a pas pu aller jusqu'au bout, mission impossible. Nous y avons passé 3 nuits. Le seul atout de ce camping est sa proximité avec les ruines. Il est bruyant, les sanitaires sont sales et c'est blindé de moustiques. ... Bonne chance. C'est plus un parking qu'un camping. 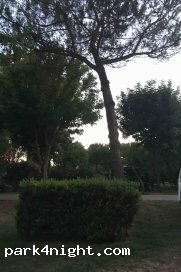 Es un camping simple, pero está al lado de las excavaciones de Pompeya y de la estación de tren con buenas combinaciones a Nápoles y Sorrento. Es ruidoso por el día ya que se usan también como parking algunas parcelas. 2 personas, autocaravana y electricidad, 24€/día. free wifi. À noter que la circulation et l'accès aux places (correctes sans plus) sont compliqués par la présence des nombreux oliviers bas et leurs branches tordues. Parfois limite-limite. Gare aux longs camping-cars. Impeccable et impeccablement situé près de la gare pour Naples et près de l'entrée à Pompéi.